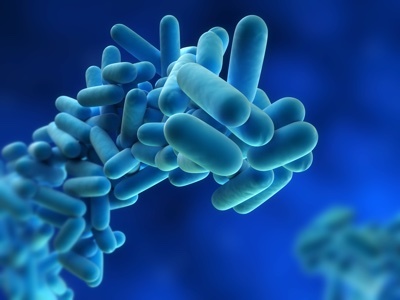 Legionella is a term that describes a fairly broad group of bacteria.The name Legionella pneumophila arose to describe the causative agent of a pneumonia outbreak that occurred at an American Legion convention in a Philadelphia hotel in the 1970s. To date, at least 50 different Legionella species have been identified, the vast majority of which are not disease-causing. When patients are diagnosed with pneumonia, they will often be treated prophylactically with antibiotics, with no attempt to determine which bacterium caused their illness. In those cases, where an organism is cultured from a patient, more than 95% of the time it will be Legionella pneumophila. Not only is this species the most likely to cause illness, it is also the one that is most common in the environment, being found in water systems such as cooling towers and plumbing. Other Legionella species are also present but as they are less clinically relevant and the utility of testing for them is debatable. When non-pneumophila species are found in water systems, certain species tend to dominate. For example, the species Legionella anisa is considered the next most common after L. pneumophila, but L. anisa is not a health concern. Indeed, even if it is found, disinfection is not recommended as it is unlikely to make people ill and so it is not worth adding chemicals to the water. The large number of diverse Legionella species makes it difficult to identify outbreak-causing bacteria but also, importantly, it greatly complicates the routine monitoring of water systems. Most of the standard plate culture methods that are commonly employed to test water are unable to distinguish the primary disease-causing agent L. pneumophila from the other Legionella bacteria that may be present but which are more likely to be benign. Water systems can be designed in many ways which, in conjunction with differences in environmental conditions and the quality of the water, means there can be huge variation in biological and chemical composition of contaminants in the water from one system to another. A plumbing system can have many areas that can prove problematic including dead legs, where pipes do not lead to an outlet, and plumbing to parts of a facility that are rarely used. Both of these can allow stagnant water to accumulate, giving rise to an environment where microorganisms can thrive. In addition, total organic carbon can build up in the system providing food for the organisms. Legionella bacteria can form biofilms, as they secrete a sticky, extracellular polymeric substance composed of a number of materials including extracellular DNA, proteins and polysaccharides, which allows them to attach to the insides of pipes. Other bacteria can also accumulate into the biofilms and the result is a stable community of different organisms. This can lead to damage of the pipe material, adding to the chemical contamination that might be present in the water. Such a complex matrix of water, bacteria and chemicals makes it difficult to detect Legionella contamination among the background noise. It is even harder to enumerate them, even if a culture protocol is being carried out correctly. The presence of Legionella might be masked by the contaminants or its growth might be inhibited. Furthermore, other biofilm-forming organisms common in water, such as Pseudomonas, can cause particular problems as they can directly inhibit Legionella from growing, thus masking them in the culture. For the most part, regulatory authorities recommend plate culture tests for Legionella detection. 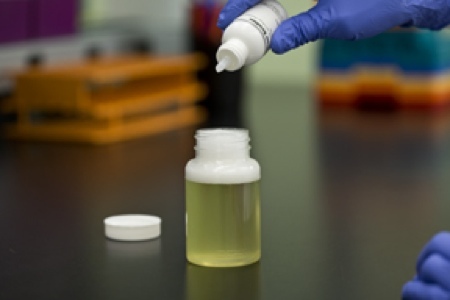 These protocols are widely accepted and have been in use for more than 30 years to detect Legionella contamination in water. The tests can be run in any laboratory, as long as experienced laboratory scientists with the right expertise are available. Globally, there are many plate media methods, such as the CDC method ISO-11731 and Standard Methods SM9260J. 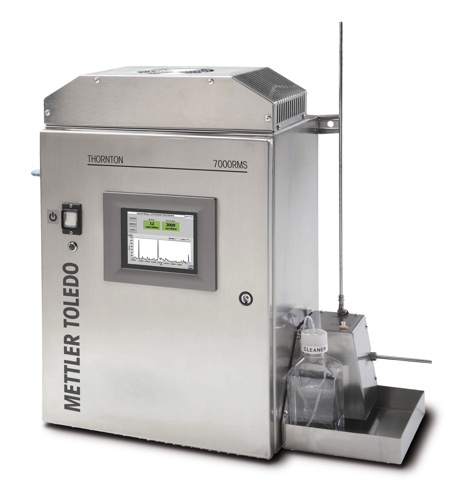 All operate in a similar fashion – using methods for concentrating the sample, pre-treatments with acid or heat to reduce the background growth, and the use of a selective cocktail of antibiotics on the growth medium to further enhance the specificity. The methods all differ in key ways. For example, the selective medium used can vary between each of these methods, as well as within each method. For these methods technicians will often run multiple tests in parallel, each employing different conditions, as it is impossible to predict which will be best for separating out the bacteria of interest from the non-Legionella background. Once the plates have finished their primary incubation, which can be 7-10 days, a decision must be made as to which of the conditions employed will provide a reportable result. This is, necessarily, somewhat subjective – experience and expertise are crucial. Because of the complexity of these methods, the difficulty in achieving reproducible and consistent results is substantial. 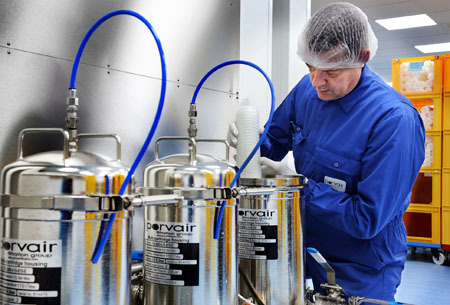 Standard culture-based method steps require precise timing and accurate temperature control for heat pre-treatment and if an acid pre-treatment is performed, then the acid must also be prepared correctly. Finally, the subjectivity in interpreting the plates leads to a lot of inter-lab variability. Once initial growth is complete, there is no guarantee that any colonies that grow on the plate are truly Legionella, even with pre-treatments to reduce the background. Therefore confirmatory tests are required. Confirmations usually involve an additional plating step, with the colonies simultaneously plated onto several media types on which Legionella either can or cannot grow. Only then can it be confirmed if an individual colony was Legionella or not. With multiple presumptive colonies on the plate, this would have to be done for representatives of each. The precise requirements for Legionella testing vary from country to country and agency to agency. 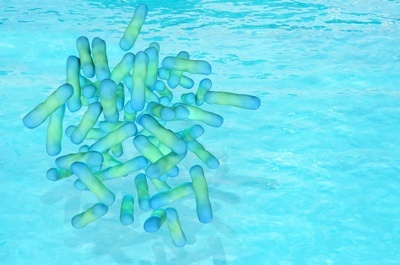 Some countries require all species of Legionella to be quantified – both the potentially harmful L. pneumophila, as well as all others that can reasonably be detected. Others require only L. pneumophila detection. In the light of the environmental frequency, questionable clinical importance of the other species, and the cost of treating water that might not actually be a health hazard, requirements to test and treat every single species regardless of risk, is neither logical nor sensible. If that is required, then unnecessary and costly operations will be carried out that do little more than introduce chemicals that are not needed into a water system. A number of alternative test methods have been developed in recent years to improve upon standard culture-based methods, although regulatory bodies still prefer culture tests for robust quantification and final results. Many are touted as being rapid methods and thus have a perceived benefit in the testing landscape. For example, tests based on the polymerase chain reaction (PCR), which amplifies DNA, are much faster to run than culture plates but have numerous drawbacks, in particular, the inability to distinguish between both living and dead cells. If a building was colonised by Legionella but has since been decontaminated via disinfection, residual nucleic acid templates for PCR could still be present around in the system. Although these will degrade over time, there is still the potential that a PCR test for Legionella will come back positive after disinfection even if there are no viable bacteria present. Technology is being developed to resolve this, but at the moment it is not reliable enough to use for routine testing. Furthermore, the output of a PCR result is not directly translatable to culture in that it does not report on the number of colony forming units (or viable cell units), but rather gives results in genomic units, which are not equivalent to a cell count. This is due in part because of the live-versus-dead problem and partly because the gene amplification is not always consistent. These drawbacks mean that PCR is not yet a practical method for the routine monitoring of water quality. It has its place as a rapid test when there is an outbreak and is an important tool when speed is of the essence. However, culture tests will also need to be run for confirmation and accurate quantification and to facilitate clinical epidemiology studies, where isolates from the water are compared to those from infected patients. Other same-day testing methods are available. Again, they have their drawbacks and culture tests will still be required. Direct fluorescent antibody microscopy, for example, still requires sample concentration, is not quantitative and, like PCR, is not particularly good at distinguishing live from dead bacteria. It also has a lot of variability, which is not ideal for routine monitoring either. Lateral flow antibody tests, such as immuno-chromatographic tests, can also be run and are very fast but they have very high limits of detection, which means a high false negative range, and the range of serotypes they can detect is limited. Antibody capture is another modern alternative that does not suffer from these drawbacks and provides a result within two hours but it is extremely labour intensive, has a high degree of variability, and can be very expensive. It is therefore impractical for routine monitoring. Another recently developed method is Legiolert, a modified culture-based test that detects exclusively L. pneumophila. 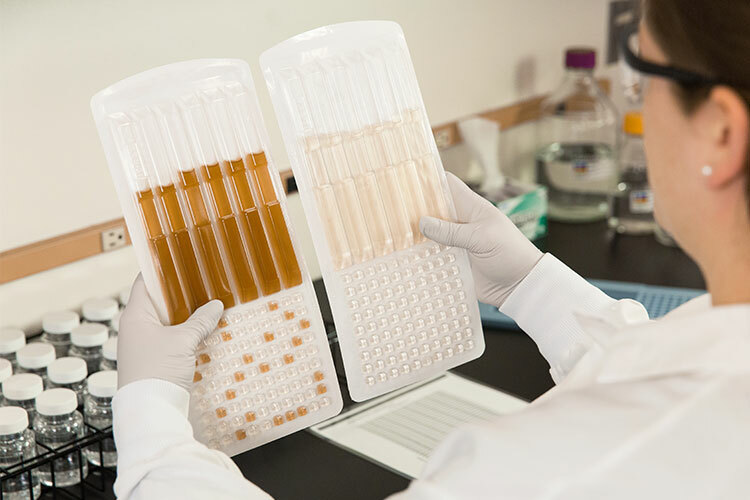 Because it cultures live cells, the test offers all the benefits of a standard culture test, such as accurate quantification and the ability to store the organisms for any downstream epidemiological studies. It is easy to use and employs fixed protocols. The test takes two minutes to set up and, after incubation, interpretation of the multi-well device involves only identifying a colour change; and quantification is performed by counting the coloured wells which leads to extremely high repeatability and reproducibility. As Legionella bacteria are slow-growing, there is no avoiding the seven-day incubation period to allow them to grow, but this test requires no confirmatory work, so is still quicker than a standard culture. Legiolert is ideally suited for routine monitoring based on its ease of use, accuracy, and specificity. Published studies and field trials show that it has high specificity, with a false positive rate of less than 3.5% for potable water, which is low enough to support the claim that it is a confirmed test result. In addition, the simplified protocol and usability dramatically reduces the false negativity observed with traditional membrane filtration methods. For routine monitoring, to meet regulatory requirements or to guide a water management plan, tests are required only every quarter, or even only once a year. In such situations, there is no real need for a same-day test, and the accuracy of a culture-based test is far more important. The benefits of a rapid test are far outweighed by the ability of a culture-based test to provide accurate, reliable, consistent results.